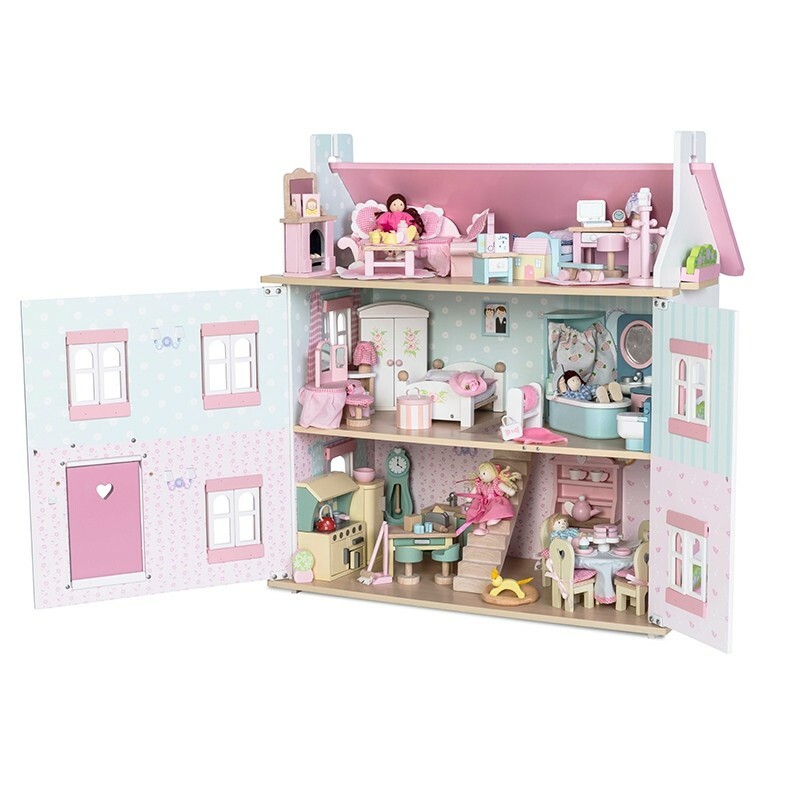 The Classic. 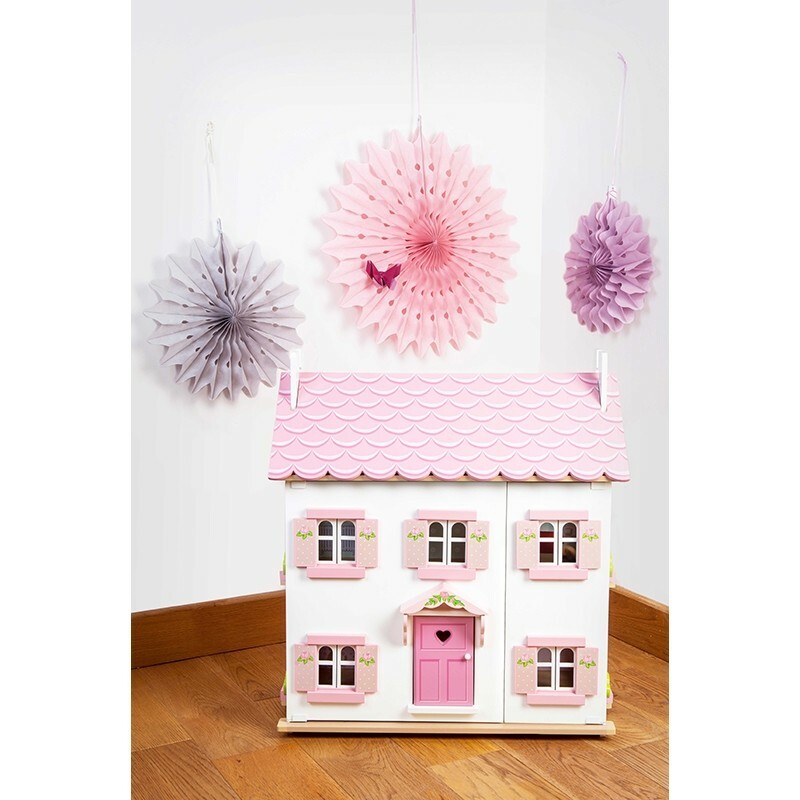 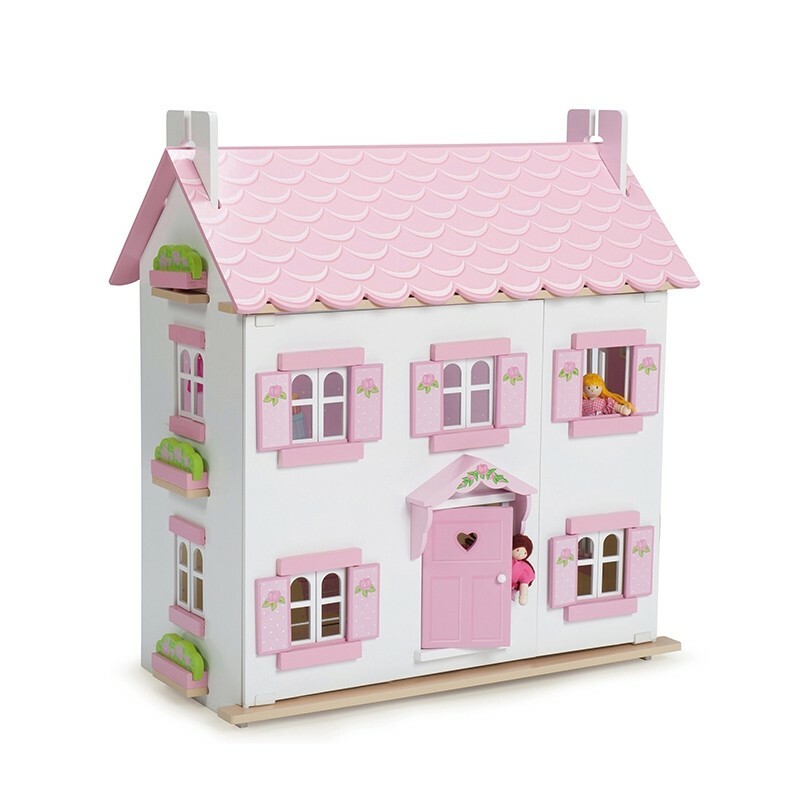 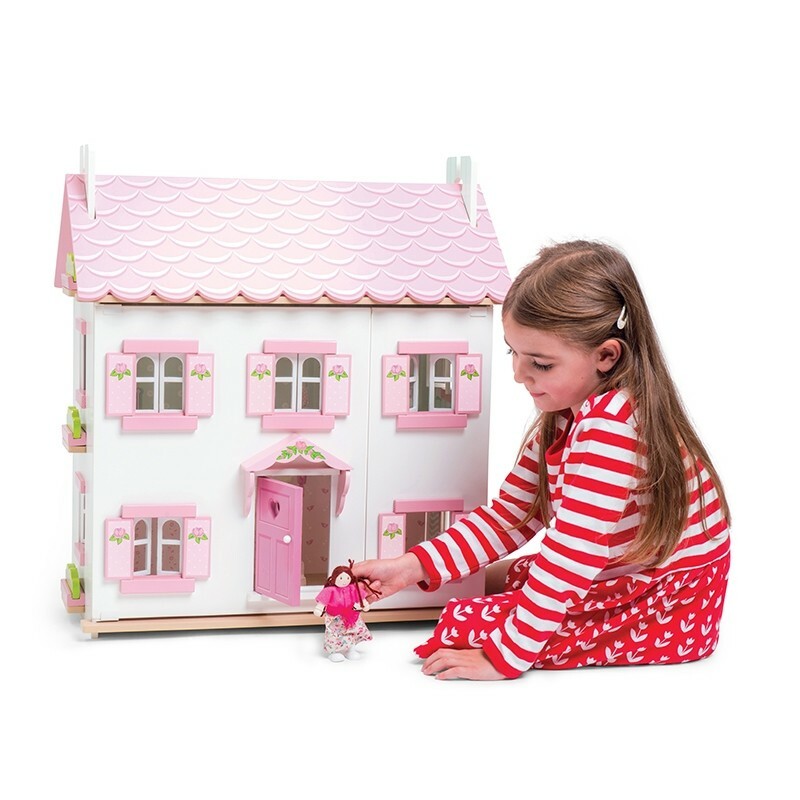 In fresh white & rose pink this fully painted and decorated large 3 storey doll's house features a glittery scalloped roof, a front porch and a floral motif. 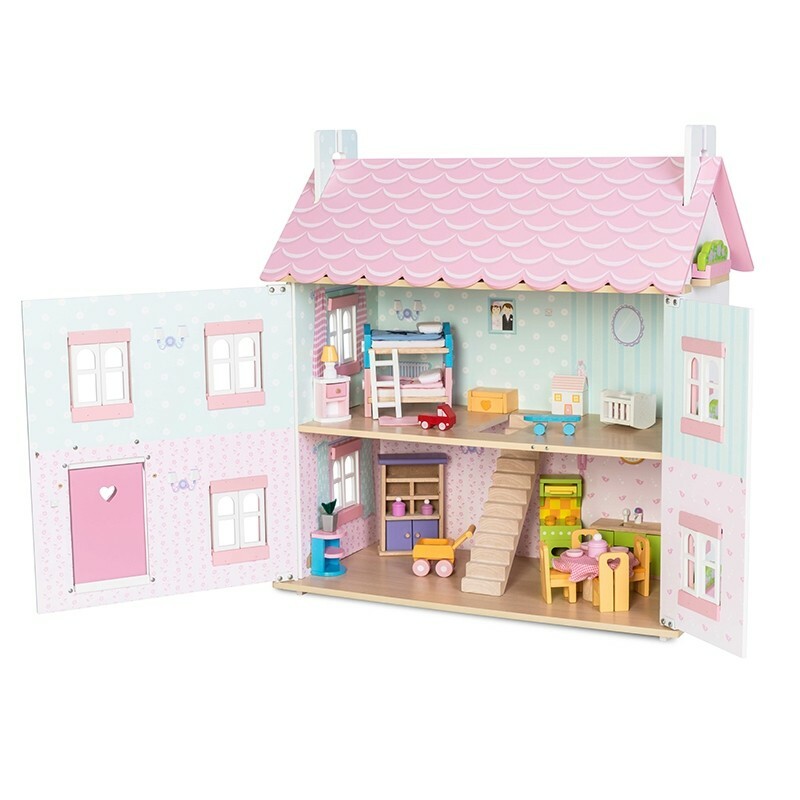 It includes a staircase, a loft ladder and opening shutters and windows. 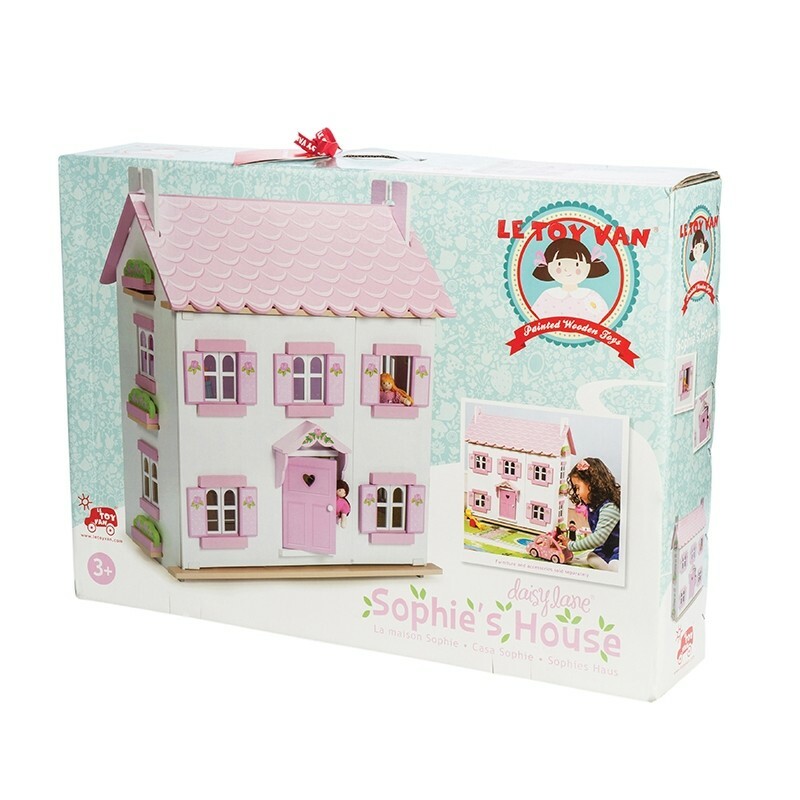 Dolls and furniture sold separately- choose from the extensive collection of Le Toy Van doll's house furniture sets.